Hybrid Electric has extensive experience with commercial, industrial, rural/farm, retail, automotive and civil projects. We specialize in electrical service / power upgrades. 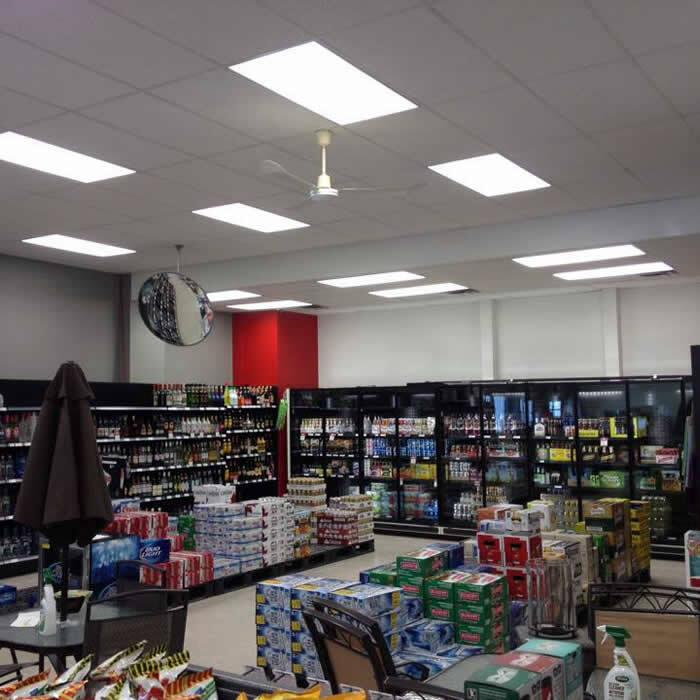 We modify existing commercial buildings to facilitate multiple tenant occupancies. Wether its adding electrical panels to power new loads or adding multiple meter sockets to keep track of power consumption. We are fluent with commercial wiring methods and 120/208V & 347/600V 3-phase configurations. 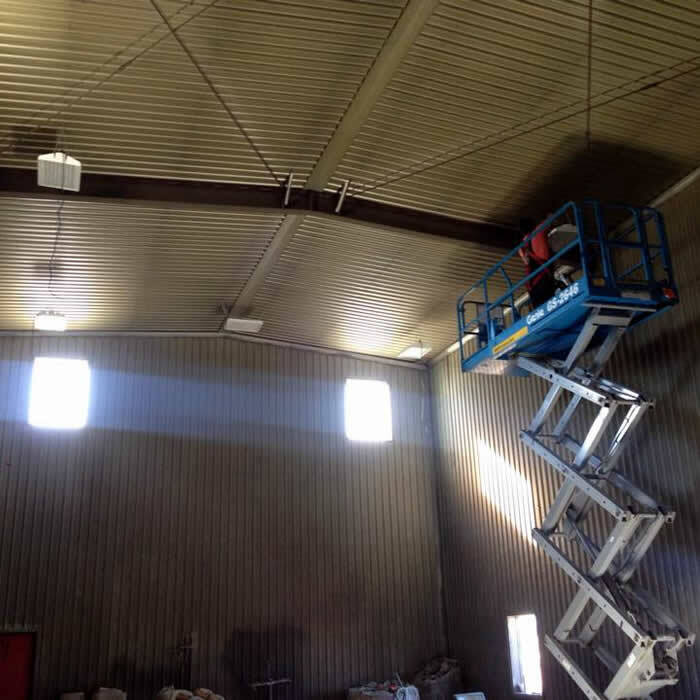 Lighting upgrades or repairs, back up generators, transformer installs, computer / network / telephone wiring, safety inspection, and line locates are a few of the services we provide. Hybrid Electric has extensive experience with high-end custom homes as well as multi-tenant occupancies, condominiums & apartments. We are fluent with all aspects of the electrical trade regarding residential developments. We specialize in electrical service / power upgrades. Did you know? Upgrading your electrical service on a residential occupancy can save you money on insurance. This may be a necessity if you are renewing a mortgage, insurance, or adding loads such as air conditioners, hot tubs, and garage. 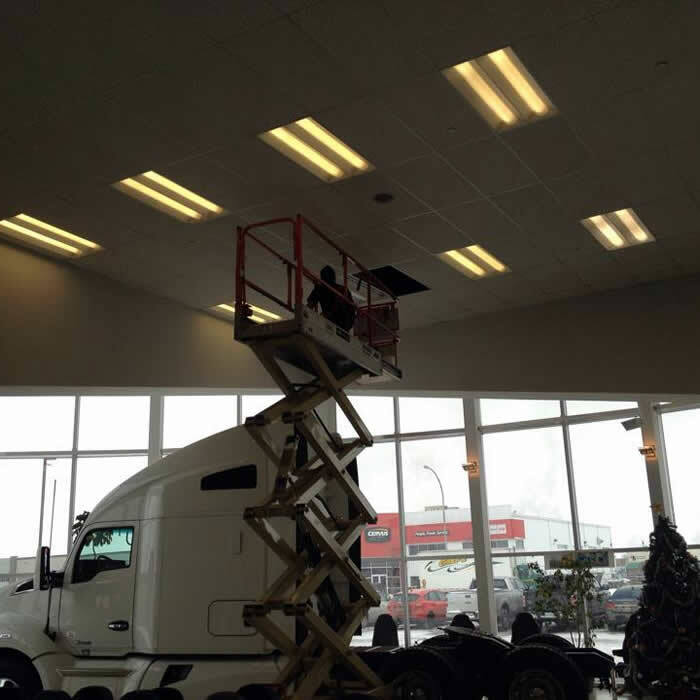 Retrofit applications for lighting upgrades is our specialty. 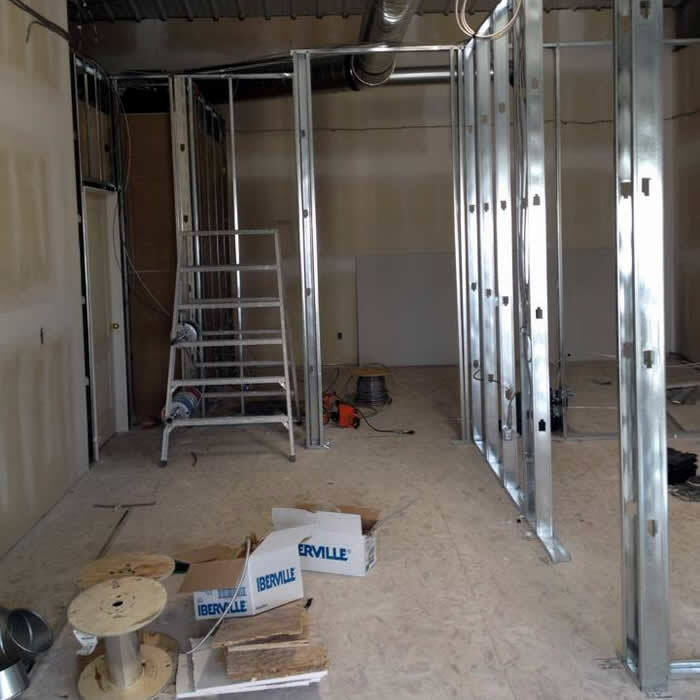 We transform spaces without disrupting existing drywall areas. 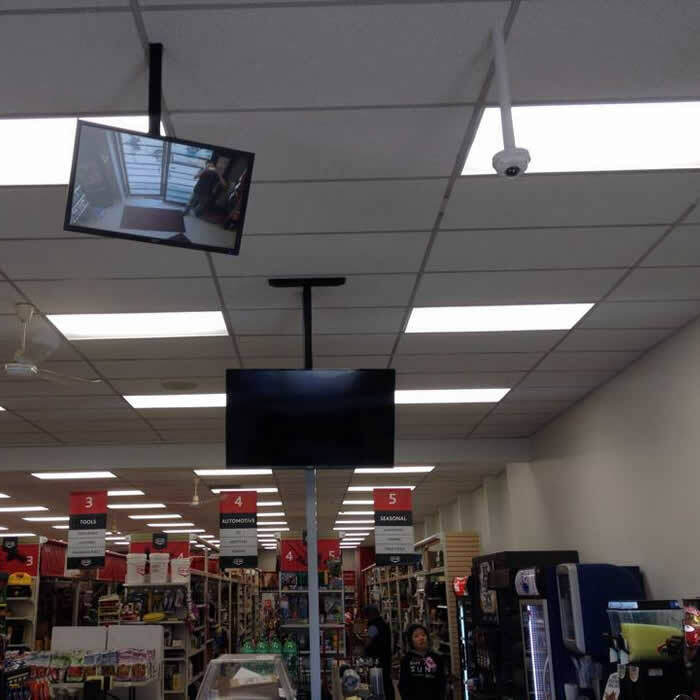 Our skilled employees and custom tools assist us to make difficult installs run much smoother. 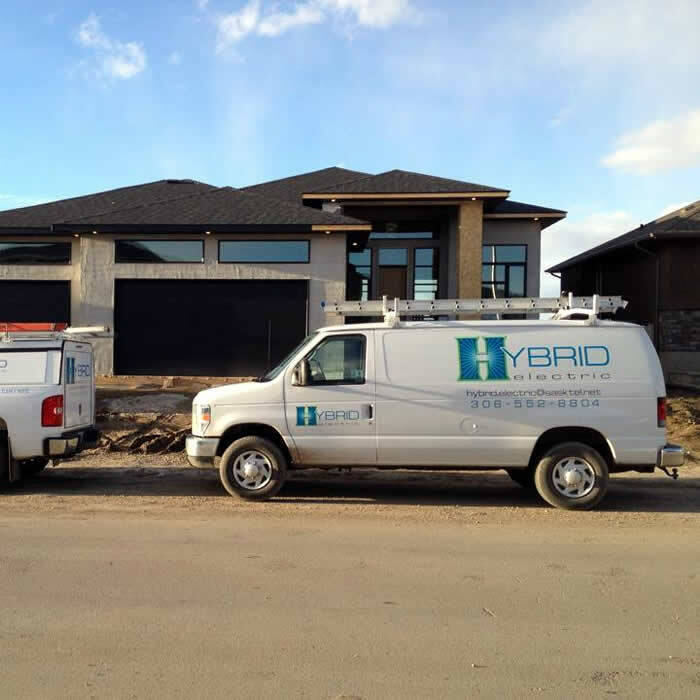 Hybrid Electric's comprehensive service department provides all troubleshooting & repair services to Regina & surrounding area. 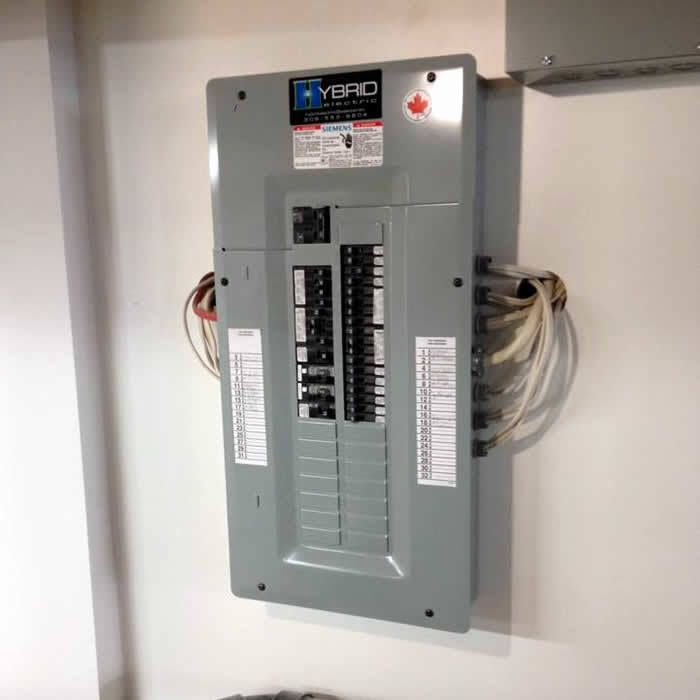 Providing a wide range of service for new construction and renovations, preventative maintenance, energy conservation, power quality, generator solutions as well as lighting and receptacle troubleshooting. Our employees are customer service oriented and perform quality work. As a proud member of the Better Business Bureau, our work is guaranteed as we strive to maintain our "A+ rating". We understand an emergency and will prioritize our customers. Our 24 hours service vans & trucks are well equipped to deliver optimal service upon arrival. 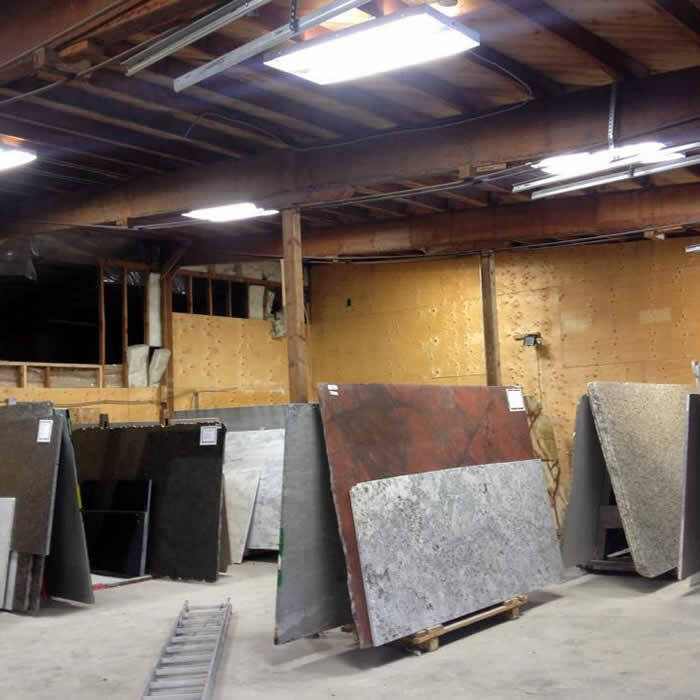 We pride ourselves in the quality of our work and are recognized in the construction industry for our thorough, neat, and timely service. Hybrid Electric is a well-established, experienced and diversified electrical contractor. We are a highly motivated and committed to our projects, ensuring that they are delivered on time and on budget, while exceeding expectations. And it's all thanks to the strength of our people. 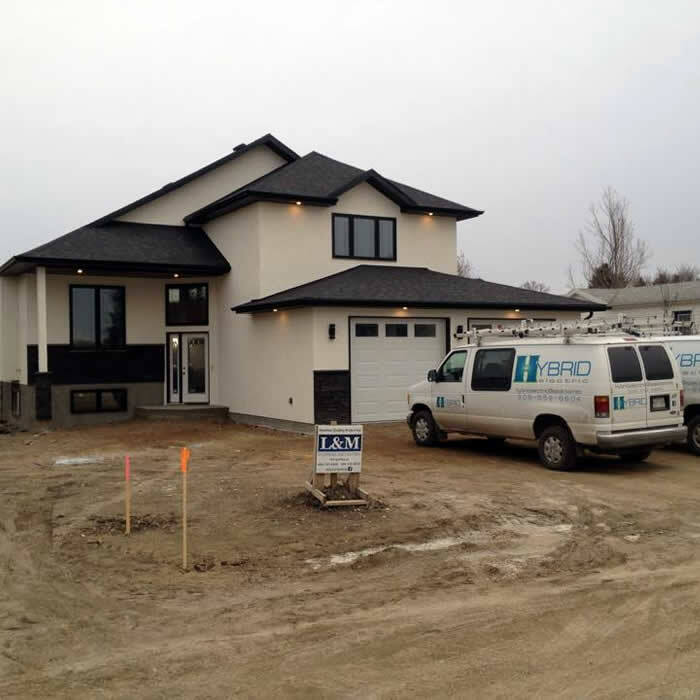 Serving Regina & surrounding area, we offer competitive pricing for contractors & custom builds. 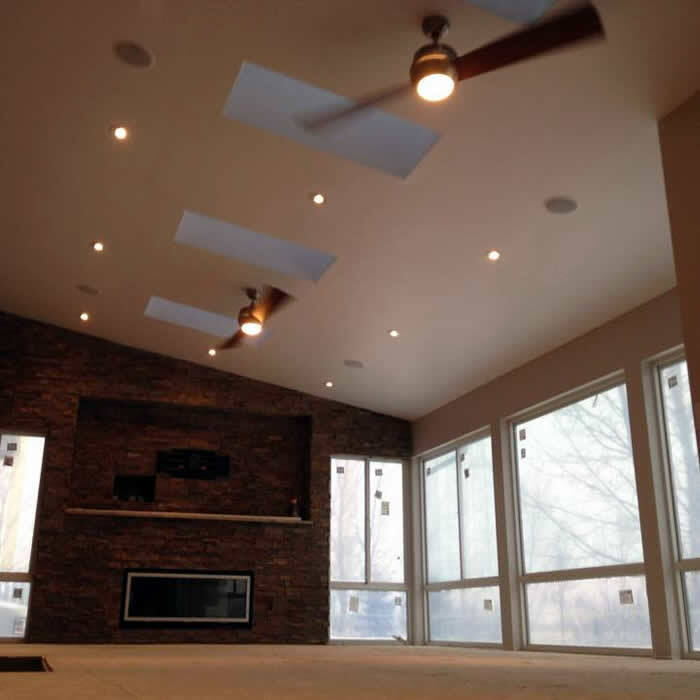 We provide free estimates, customer consultations, and offer a design-build method of install that has proven to be successful. 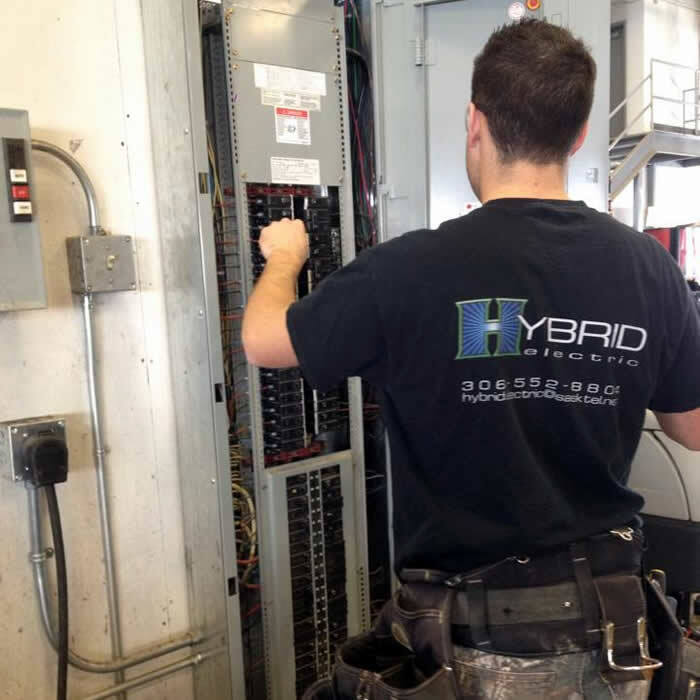 Hybrid Electric works closely with our clients to manage their projects from the initial design stage to the construction and completion of each project. Our company history has established Hybrid Electric with a wide range of experience in electrical projects for the residential, commercial, industrial, rural/farm, retail, automotive and civil projects we have worked on. 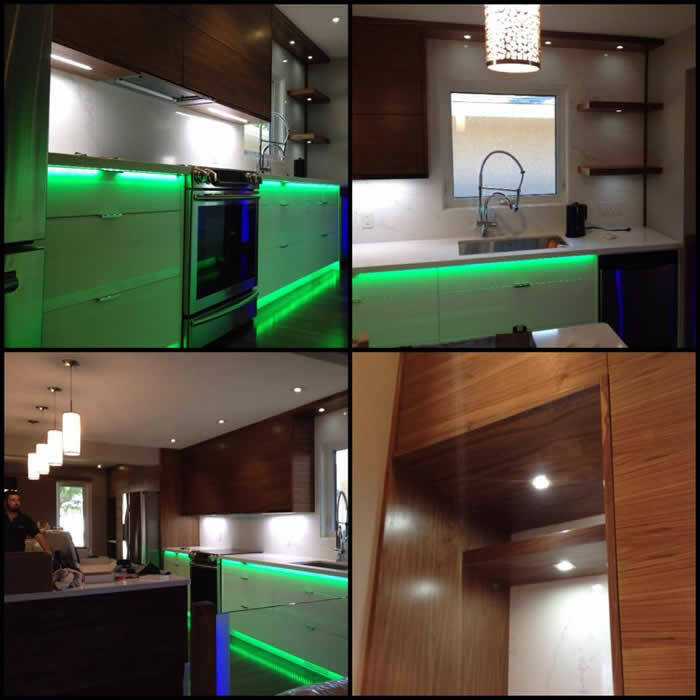 Our experienced team has expert knowledge of circuitry and the processes involved in new builds, additions or renovations. We are 100% licensed, bonded, insured & authorized to pull electrical permits. Quality & reliability are imperative for the products & equipment that we supply & install. Effective problem solving and clear communication has helped us gain many client relationships. 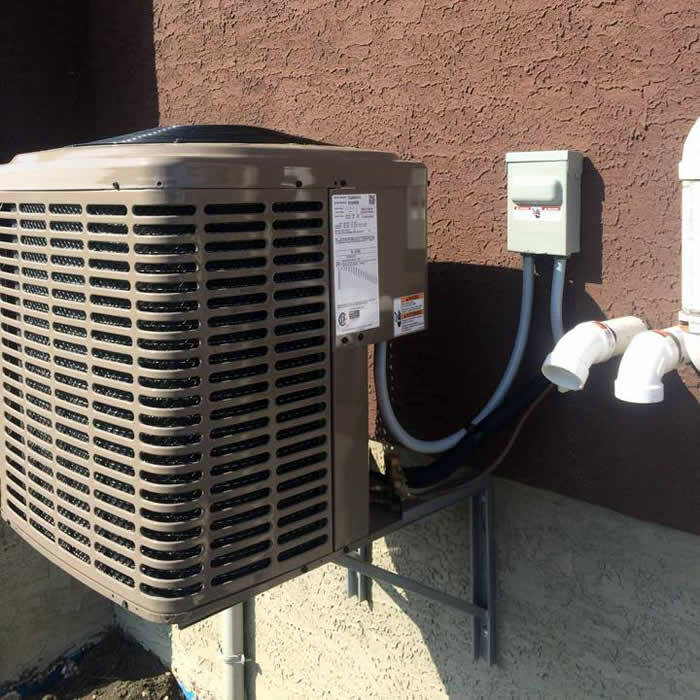 Through positive coaching, we have adapted our own methods of install with a consistent manner that assists for future upgrades and trouble-shooting. We are very thorough with our customers & install. We design & build electrical systems by planning ahead so that our customer is not limited for expansion. 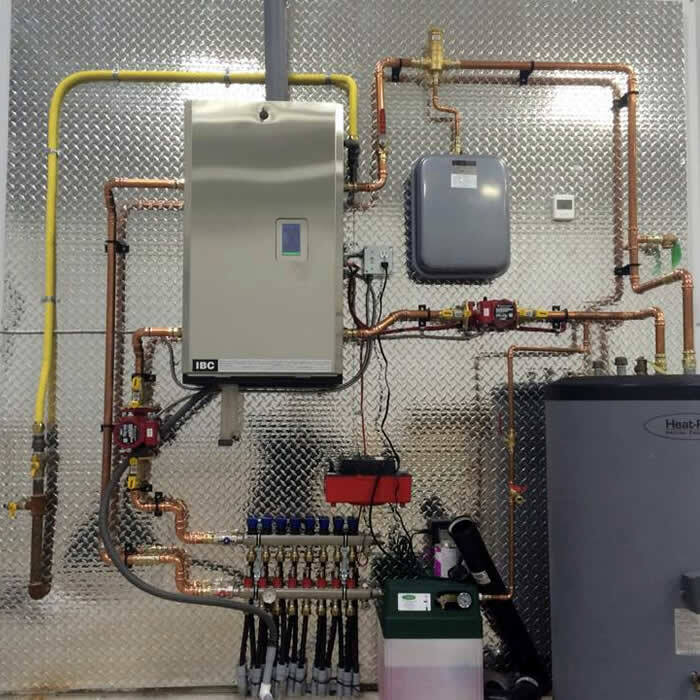 We pride ourselves in the quality of our work and are recognized in the construction industry for our neatness of install. We provide a very thorough and timely service. We emphasize the importance of attention to detail. We schedule & keep appointments. Our office staff work within your budget to deliver custom lighting layouts, code required electrical, automation, and audio / video systems. Our suggestions help determine what our customer's needs and wants are to deliver the most cost effective solution. Our superior installations meet or exceed the Canadian Electrical Code. Our technicians are clean, courteous & punctual. Creating a safe and healthy work environment is a part of Hybrid Electric's dynamic culture and one the organization's most central guiding principles. Hybrid Electric will not compromise the health and safety of its people. 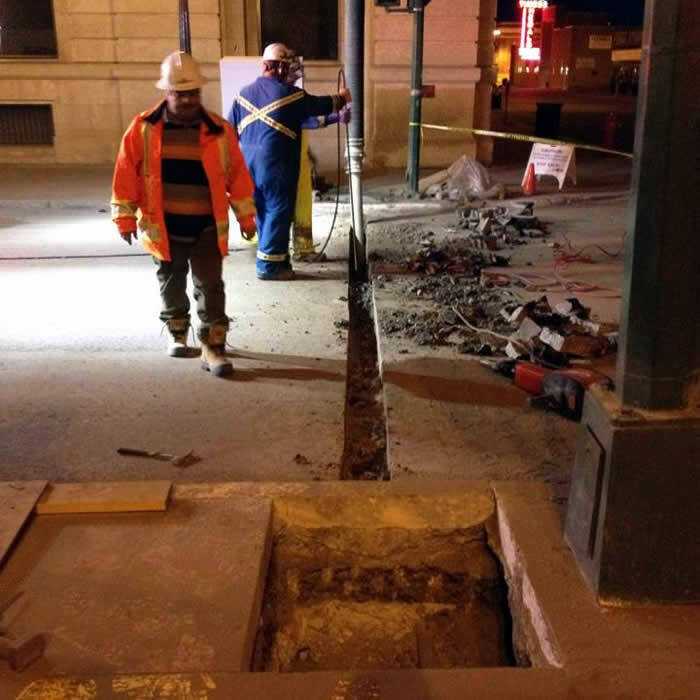 We eliminate hazards and dangerous conditions by correcting un-safe behavior. We have precautions set in place such as lock-out procedures, ensuring our team of electricians look out for each other and share in the organization's goal of zero incidents. We believe that our recycle & disposal policy helps the environment from excess waste. All of our employees are required to be familiar with environmental laws and regulations relevant to their responsibilities and to comply with them. Our team is focused to be fair & honest. Working towards a sustainable future means that Hybrid Electric recognizes the importance of operating with minimal down time while maximizing production. We have a priceless reputation with integrity and trust. Need something done? Have a question or comment? Personal information is information that is associated with your name or personal identity. HYBRID ELECTRIC INC. uses personal information to understand better your needs and interests and to provide you with better service. Once you choose to provide us with personal information, you can be assured it will be used only to support your customer relationship with HYBRID ELECTRIC INC. We take seriously the trust you place in us. HYBRID ELECTRIC INC. will not sell, rent or lease your personal information to others. On some pages and links at HYBRID ELECTRIC INC. , you can order products or services, request information, subscribe to marketing or support materials, register yourself, or apply for a job at HYBRID ELECTRIC INC. . The types of personal information you provide to us on these pages may include name, address, phone number, e-mail address, user IDs and passwords, billing and transaction information, credit card information, contact preferences, educational and employment background, and job interest data. Non-personal information is data about usage and service operation that is not associated with a specific personal identity. HYBRID ELECTRIC INC. collects and analyzes non-personal information to evaluate how visitors use the HYBRID ELECTRIC INC. website. Non-personal data we collect may include the pages visited on the HYBRID ELECTRIC INC. websites, unique URLs1 visited within our website, browser type and IP address. Most non-personal data is collected via cookies or other analysis technologies. HYBRID ELECTRIC INC. is committed to protecting the privacy needs of children and we encourage parents and guardians to take an active role in their children's online activities and interests. HYBRID ELECTRIC INC. does not knowingly collect information from children under the age of 13 and HYBRID ELECTRIC INC. does not target its website to children under 13. HYBRID ELECTRIC INC. uses your personal information to provide you with services and to help us better understand your needs and interests. Specifically, we use your information to help you complete a transaction or order, to communicate with you, to provide service and support, to update you on services and benefits, to personalize promotional offers and to personalize the HYBRID ELECTRIC INC. website. Occasionally we may also use your information to contact you for market research regarding HYBRID ELECTRIC INC. products or services. We will give you the opportunity to choose your privacy preferences regarding such communications. You may, at any point, contact us to request an opt-on on future communication. Credit card information is used only for payment processing and fraud prevention. This information is not used for any other purpose by our financial services providers or HYBRID ELECTRIC INC. and will not be kept longer than necessary for providing the services, unless you ask us to retain your credit card information for future purchases. Personal data collected online may also be combined with information you provide HYBRID ELECTRIC INC. through other sources such as product registration, call centres or public events such as trade shows or seminars. Personal data given to HYBRID ELECTRIC INC. may be transferred across state, provincial and/or country borders for the purposes of data consolidation, storage and simplified customer information management. Non-personal data is aggregated for reporting about HYBRID ELECTRIC INC. website usability, performance and effectiveness. It is used to improve the customer experience, usability and site content. HYBRID ELECTRIC INC. will not sell, rent or lease your personal information to others. HYBRID ELECTRIC INC. will not share your personal information with third parties except in responding to your requests for products or services. Your permission will be requested when you submit your information. 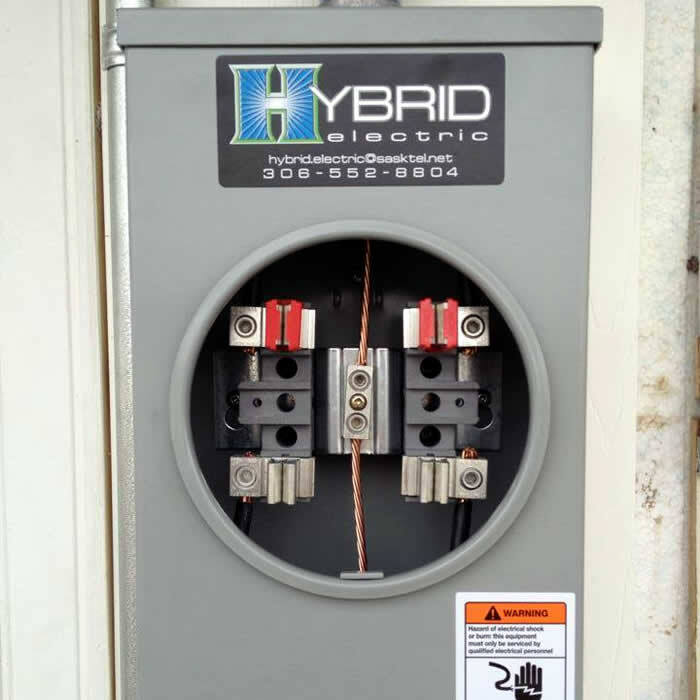 HYBRID ELECTRIC INC. shares customer information across HYBRID ELECTRIC INC. -owned business entities and companies working on our behalf, but only as required to meet your product or service requirements. 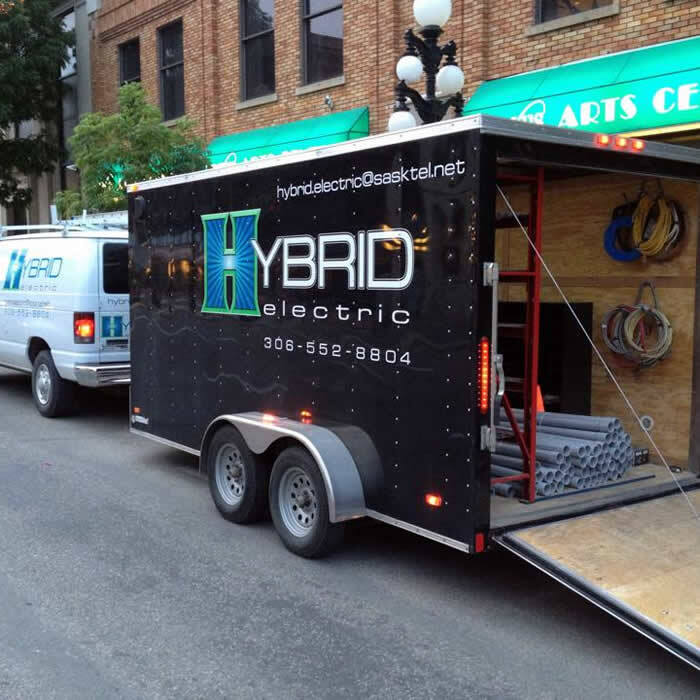 HYBRID ELECTRIC INC. occasionally may contract with third-party service providers and suppliers to deliver complete products, services and customer solutions. Suppliers and service providers are required to keep confidential the information received on behalf of HYBRID ELECTRIC INC. and may not use it for any purpose other than to carry out the services they are performing for HYBRID ELECTRIC INC. These service providers may change or we may contract with additional service providers to better accommodate our customers. HYBRID ELECTRIC INC. will not share personal information with any other third parties without your permission, unless required by law enforcement action, subpoena, or local law. HYBRID ELECTRIC INC. or its related entities could merge with or be acquired by another business entity or some or all of their respective assets could be acquired. If such a combination or acquisition occurs, HYBRID ELECTRIC INC. will make every reasonable effort to notify you in the event we share with the merging or acquiring entity some or all of your personal information to continue serving you. HYBRID ELECTRIC INC. gives you the choice of receiving a variety of information that complements our products and services. You can subscribe to receive certain product- and service-specific information and HYBRID ELECTRIC INC.-wide marketing communications. HYBRID ELECTRIC INC. -wide communications may include new product information, special offers, or an invitation to participate in market research. We give you a choice regarding delivery of HYBRID ELECTRIC INC. -wide communications by postal mail, e-mail and telephone. You can make or change your choices at the data collection point. We will make every effort to honour your preferences. This option does not apply to communications for the purpose of administering order completion, contracts, support, product safety warnings or driver updates. Certain HYBRID ELECTRIC INC. services are linked with those from unrelated third-party companies, some which offer you the option to share with both HYBRID ELECTRIC INC. and the third party personal data you provide. We will not share your personal information with those third-party companies unless you make that choice. HYBRID ELECTRIC INC. strives to keep your personal information accurate. We have implemented technology, management processes and policies to maintain customer data accuracy. We will provide you with access to your information, including making reasonable effort to provide you with online access and the opportunity to change your information. To protect your privacy and security, we will also take reasonable steps to verify your identity, such as a password and user ID, before granting access to your data. Certain areas of HYBRID ELECTRIC INC.’s websites may limit access to specific individuals through the use of passwords and other personal identifiers. HYBRID ELECTRIC INC. is committed to protecting the information you provide us. To prevent unauthorized access or disclosure, to maintain data accuracy, and to ensure the appropriate use of the information, HYBRID ELECTRIC INC. has in place appropriate physical and managerial procedures to safeguard the information we collect. Credit card numbers are used only for processing payment and are not used for other purposes. As part of real-time payment processing, HYBRID ELECTRIC INC. subscribes to a fraud management service. This service gives you and HYBRID ELECTRIC INC. an extra level of security to guard against credit card fraud to protect your financial data. Office: 230B Dewdney Ave E.